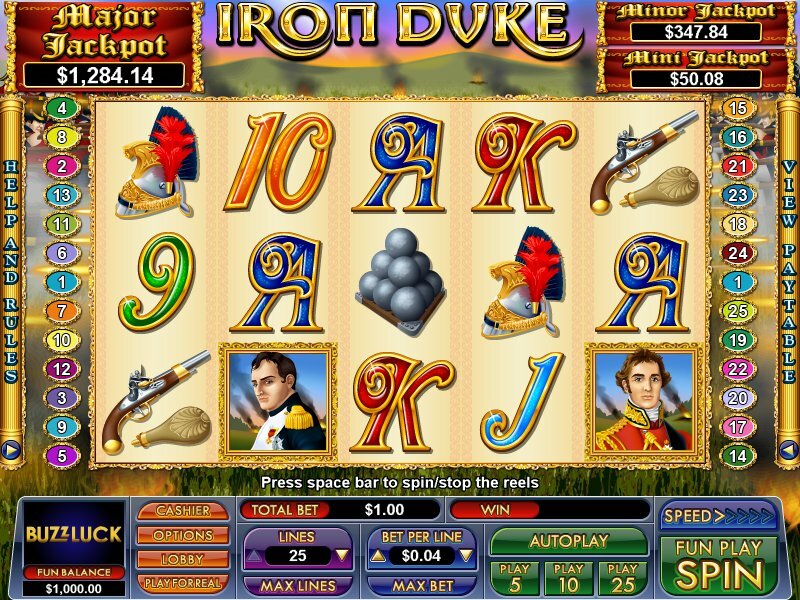 Overview: Re-live the heat and intensity of the Battle of Waterloo with Iron Duke -- a new slot from Nuworks Gaming. 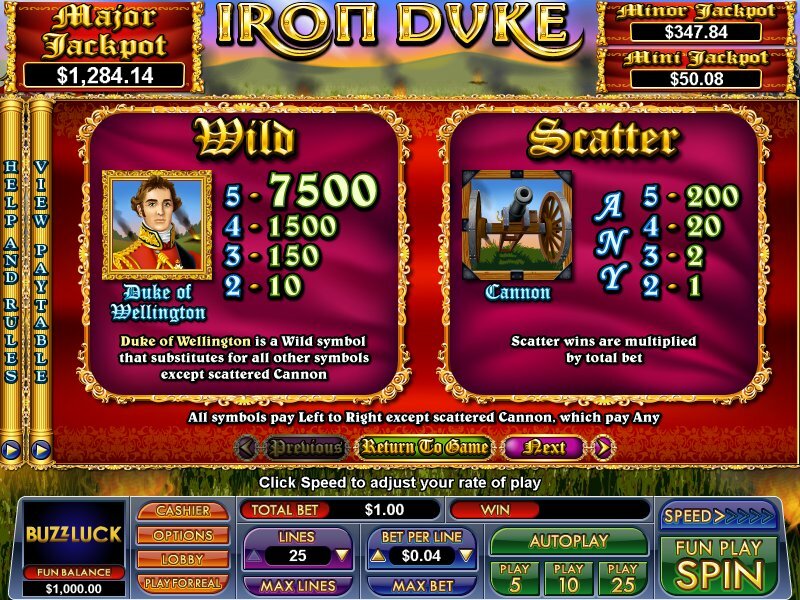 The bonus screen Waterloo Feature will see players step into the shoes of the Duke of Wellington, and manning cannons in a desperate effort to defeat Napoleon and his forces. Ending the battle with all 3 of your cannon intact will award a valiant 25 free games with all prizes multiplied by 5. Three random jackpots can also be won at the conclusion of any paid spin. 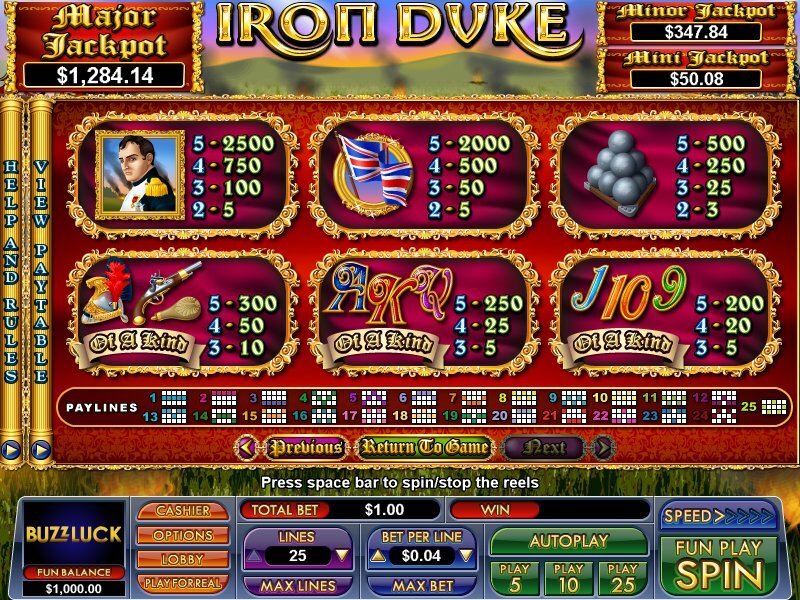 Similar Slots: If you like Iron Duke, you might like these other slot machines from NuWorks: Alaskan Sun, Carnival Cash, Catmandu, Eye of Ra, Lucky Numbers, Magic Show.